Your generous donation makes it all possible! 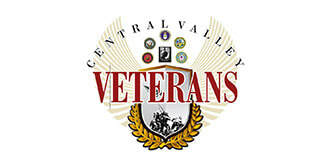 ​We have a Monthly Donation program that ensures our ability to provide assistance to our Valley Veterans and their families. This program is designed to fit all Giving Budgets for our generous supporters. $35.00 per month, ($1.15 a day) will provide a veteran with a bus pass or a gas card so they can get to work or Dr’s appointments. $55.00 per month, (less than $2.00 a day) will provide a veteran with groceries for a week, create a resume or buy clothes for a job interview. $75.00 per month ($2.50 a day) will provide a veteran with auto repairs, car registration or emergency housing. $100.00 per month ($3.33 a day) will provide a veteran with Utility bill and Rent payments to keep them from falling behind on monthly payment plans and keep them in stable housing. We accept monthly donations for any amount via Pay Pal. During the process, simply opt for the “Reoccurring Donation”, it’s that simple! Click on the Donate button below to begin. A $50.00 donation can restore transportation for a Vet, enable them to create a resume, buy clothes for a job interview or buy groceries for a week. A $100.00 donation can purchase a textbook to further a Vet’s education, pay for transportation “home” to family or give them a place to stay for a few days. A $250.00 donation can place homeless Vets and their family into emergency housing for a week or feed their family for a month. A $500.00 donation can place a Vet and their family into housing and set them up with basic household items as far as furniture, hygiene and food items. Your donation will be processed via PayPal. No PayPal account is required. You may use your debit or credit card to process your donation.